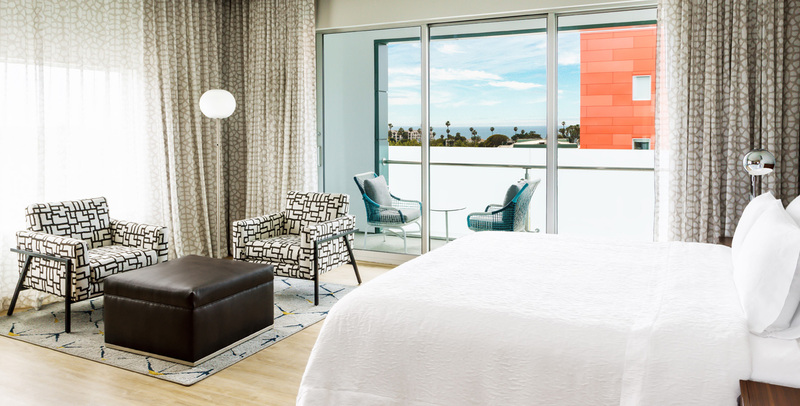 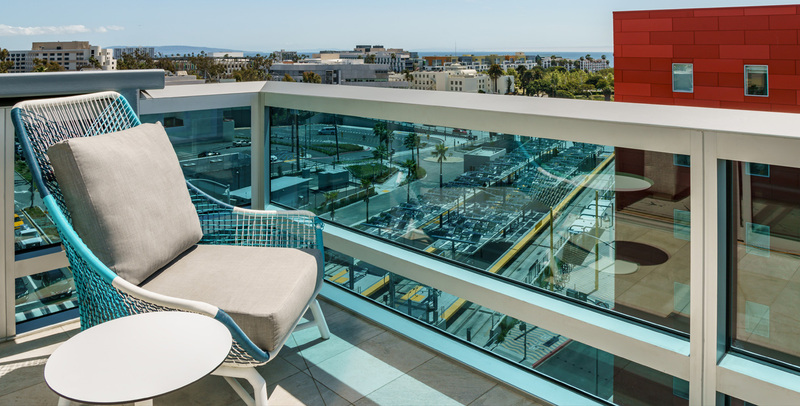 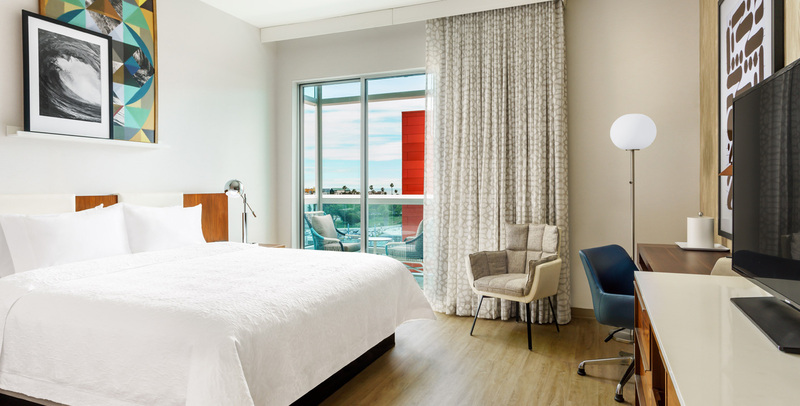 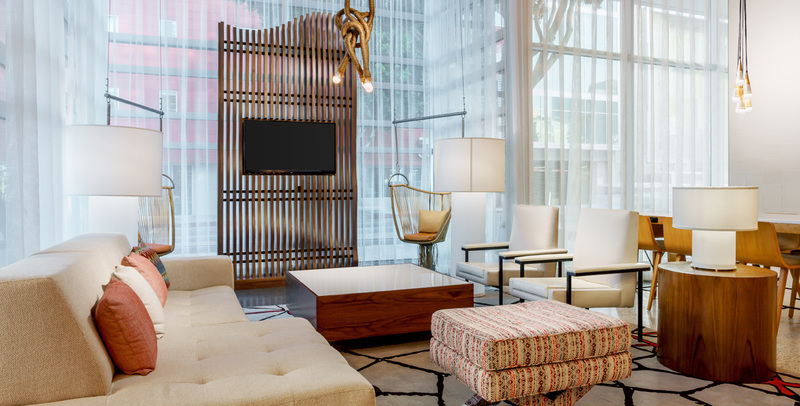 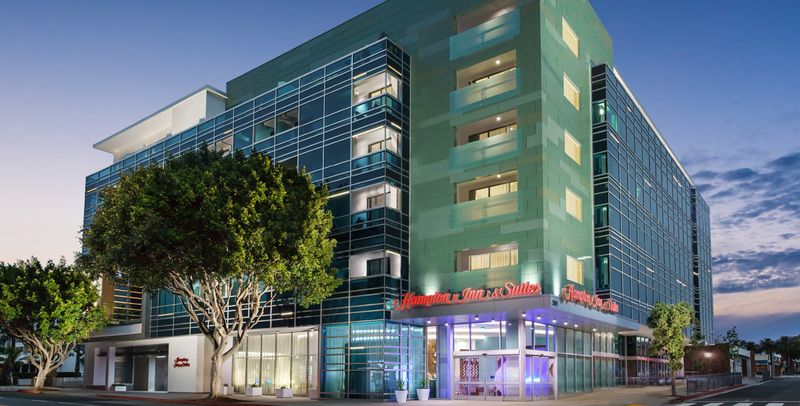 Brief: Design a new build boutique version of the Hampton Inn & Suites brand suited to a prime location near the Santa Monica Pier and opposite a new metro station. 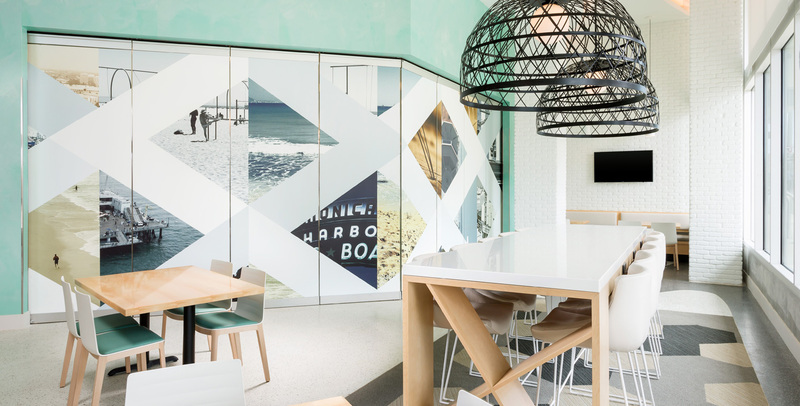 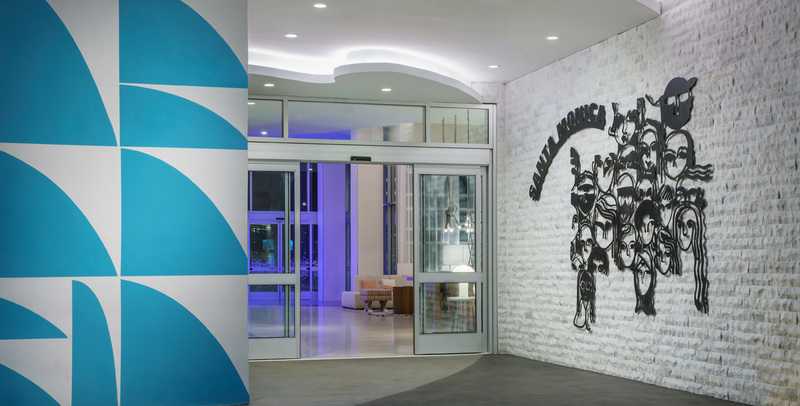 Concept: The new Hampton Inn Santa Monica located at the end of Route 66 in Santa Monica represents the arrival at the ocean and the notions of discovery, transparency and layering that are associated with the water element. 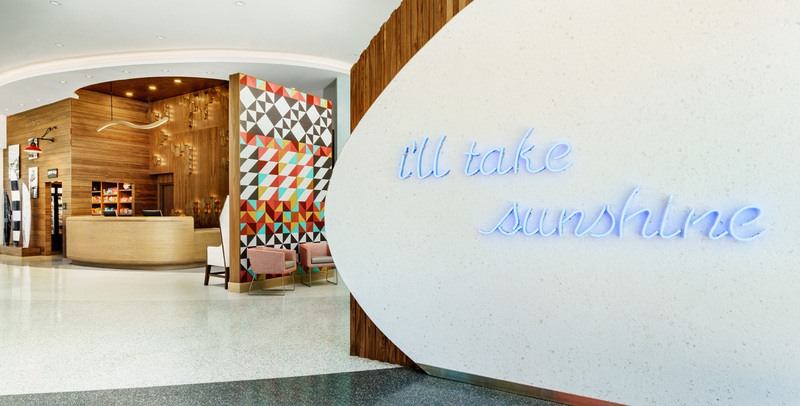 A series of sweeping curved ceiling planes stepping up from the sculptural “driftwood” front desk radiate through the entire ground floor of the hotel linking all areas together in an organic whole. 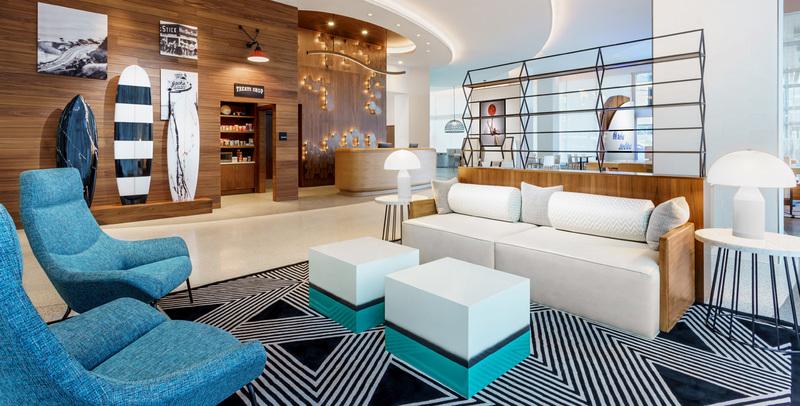 Terrazzo with recycled content is being used both for its sustainability and its ability to accommodate the sweeping curvilinear design of the flooring and the subtle color gradations reflecting the layering effects of water as it hits the beach in this very boutique version of a Hampton Inn.